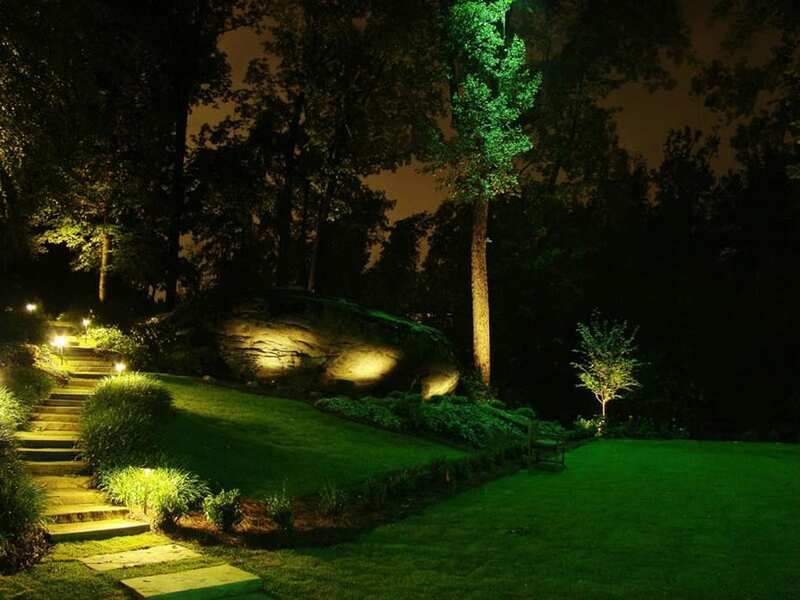 NightVision Outdoor Lighting uses a variety of creative landscape lighting design techniques to turn your yard into a work of art. A beautiful yard is more than just flowers and trees. For example, you may have an outdoor sculpture, a fountain, or a gazebo. The lighting experts at NightVision can design a comprehensive exterior lighting plan for your yard that will include accent lighting to make these unique structures stand out. Proper lighting can draw attention to your unique structures in a dramatic way. For example, the professionals from NightVision can create a design that will arrange lights around an outdoor statue in such a way as to emphasize its depth. A poorly lit structure may appear to be washed out by light or veiled in excessive shadow and will not inspire much admiration. Proper lighting design provides enough contrast between the shadowy and lit areas of the structure to maintain an interesting and dynamic balance and impress the viewer with the structure’s fullness and depth. A gazebo is always a nice place to relax in the day time, and a well-lit gazebo is a romantic and enchanting spot at night, as well. NightVision Outdoor Lighting can illuminate your gazebo so that it stands out from the rest of the yard as a glowing oasis, a perfect spot to while away the hours with a book or a loved one. There is no limit to the variety of features that can give your yard that special defining touch. It could be a bubbling fountain, a flowered arch, or a well-crafted stone chimney. No matter what it is that makes your yard unique, NightVision will find a way to bring it to life with a custom lighting design. The exterior lighting specialists at NightVision will help make a structure look beautiful even at night and create a place for you to enjoy after the sun goes down. 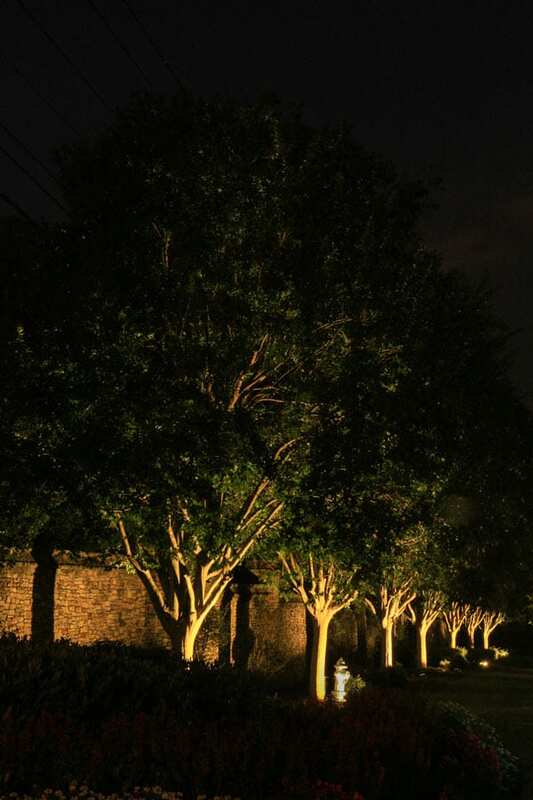 With years of experience in landscape lighting, we make your lighting dream a reality. The lighting specialists at NightVision can use landscape lighting to highlight your unique structures and transform your yard into a place for you to enjoy spending evenings. You will be proud to show off our work to your friends. Our lighting specialists will create not only a safer environment, they will also turn your space into a beautiful gathering place for friends and family. NightVision Outdoor Lighting uses only the highest quality landscape lighting fixtures. Our accent lighting components are the best in the business. Our experts will design and install the proper exterior lighting for your unique structures to your complete satisfaction, as well as provide service and replacement for the lighting fixtures. We are confident that you will be pleased with the ultimate outcome of our work. Contact the lighting specialists at NightVision to get a quote and see what we can do for you.